It’s 9 pm, you’ve worked all day then went to the grocery store, and are now putting your last load of laundry into the dryer. The telephone rings and a friend explains that she just won a jackpot and wants to take you out to a late dinner and maybe you can both go on a road trip this weekend. How do you feel? Your reaction says a lot about your personality and temperament. You’ve seen all the quizzes online about personality; “ Which Sesame Street character are you?” or “What your favorite color says about your personality.” and they can be fun, but what they’re really getting at a lot of the time is a guess at your temperament. Your temperament is best explained by the way you react to things physically and emotionally. You’re probably pretty aware of your limits and how you will react to certain situations, but when you have a new child they may behave differently. Figuring out your child’s temperament is very important so you can learn to work with them instead of against them. Temperament can be broken down into quite a few categories and they all seem to work together to make each and every person unique. In this blog, we’ll try to break it down to make it easier to understand. Is your child generally happy and optimistic? Do they tend to be a little more skeptical than anything else most of the time? Moods do change, but our outlook on the world is informed by our temperament a lot more than people realize. It may be tempting to try to make your skeptical kid a little more positive, and one should always try to look on the bright side, but trying to change your child’s basic personality is a losing proposition, so learning to accept it is a good idea. You could set a clock by some kids in regards to their eating, sleeping, and other habits. They generally do the same things over and over. Other kids are a mixed bag of random though! If your kid usually falls asleep and wakes up at the same time, they may have high rhythmicity. A child who sets their schedule anew every day is said to have low rhythmicity or regularity. This one can be pretty easy to discern actually, just think about your child overall and if they are more apt to be constantly on the go, moving, getting into new adventures or are they easier going, laid back, and relaxed? Do they tend to like being around others or playing alone? Everyone goes through stages of wanting to be alone or needing to be around others, but most people tend to settle on one favorite most of the time. When introduced to a new experience does your child go head first into it or hang back and watch what others do first? Most kids are a mix of both depending but just think about what their likely reaction would be. How do they deal with distractions? Are they able to ignore them for the most part and continue on with what they were doing or does every little thing get them off course? Routine changes can be hard on anyone, but does your child react strongly? Is that reaction negative? It might just be part of their temperament and while they may grow to be able to adapt better or at least temper their reaction when they’re young their reactions can tell you a lot about them. Does your child tend to zone-in on an activity oblivious to what’s going on around them? Does too much noise or too many people talking make them nervous? Do they have very strong feelings about sensory related things like the texture of food or the feel of their socks? 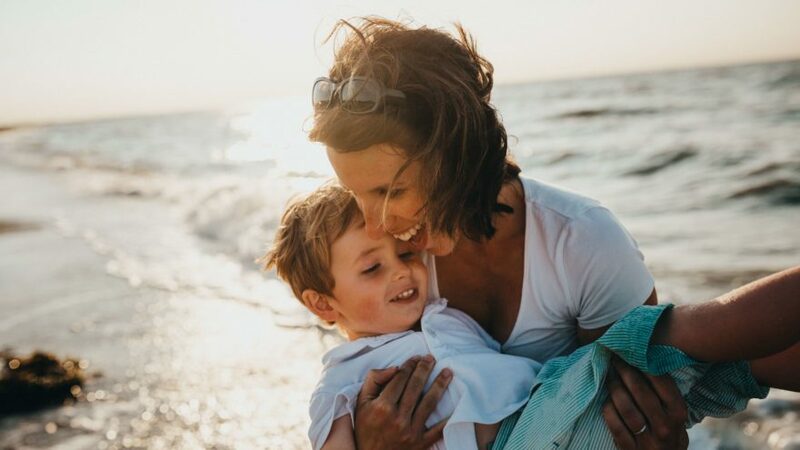 Now that you’ve asked yourself these questions you may be coming up with a pretty good picture of what temperament your child has, and that’s key in learning how to modify your parenting style to meet your child’s needs. If you have a child who does not adapt well to change or distraction, work to make their routines as stable as possible and always provide ample warning when possible about changes to give them time to accept and react to them. Work with your child about learning to use their words and learning to place the priority on remaining calm. If you have an adventurous child, expose them to as many new things as possible, but if your child likes to hang back a bit give them time to do that as well. Remember being pushed into an experience you’re not ready for can set up resentment and may even affect their desire to try something new next time. Sensory issues can be tough, and while it may be tempting to set them up to sink or swim, remind yourself that the discomfort they feel may be more extreme than you realize. Don’t be afraid to slowly introduce new things, or to help them put into words what the problem is so you can try to make things as amenable as possible. If sensory issues are getting in the way of everyday activities more often than not, don’t hesitate to ask your pediatrician for advice. Make attempts to create balance as much as possible. While your temperament and your child’s may be the same, don’t assume that will be the case. If you are an adventurous type and your child isn’t, help them learn to branch out. Likewise, if you’re more cautious and your child is ready to explore, work on your own to be supportive of them. Just like swimming against the current, life is harder when you don’t go with the flow. Your child’s temperament may be different than yours and at first it may be daunting to work with and through it, but in the end, it’s worth the time to figure out where your little one is starting from and where you want to go with it.